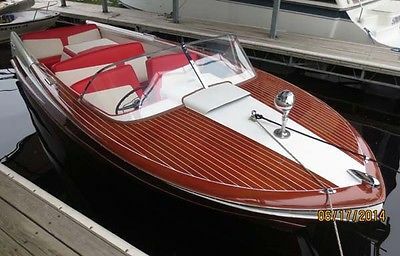 1955 Chris Craft 22 Continental (CURRENT OWNER OF 10-YEARS) GREAT OPPORTUNITY ON THIS 1955 CHRIS CRAFT 21 CONTINENTAL -- PLEASE SEE FULL SPECS FOR COMPLETE LISTING DETAILS. 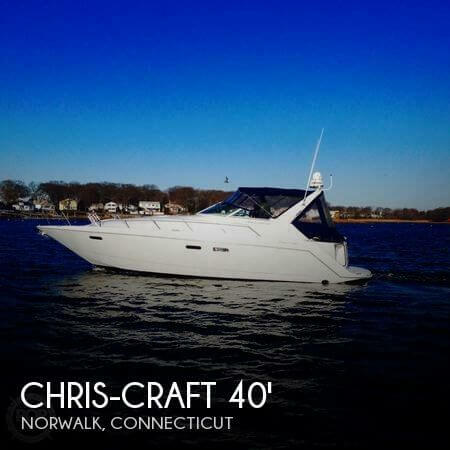 Features a Single Chris Craft 350-cid 250-hp Gas Engine (Re-Powered in 2006) with 95 hours. Notable features include but are not limited to the following: 2003 Karavan Tandem Axle Trailer, (1) Battery (12V-System), 5200 ("No-Soak") Bottom, and MUCH more! 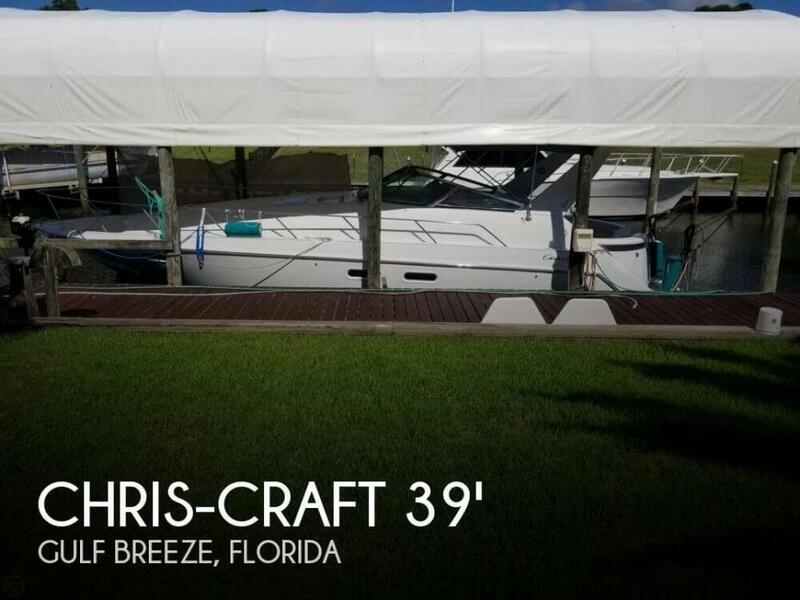 Broker Notes: Boathouse kept, note 5200 bottom new in 2013, electronic ignition. Please contact listing agent to coordinate showing. 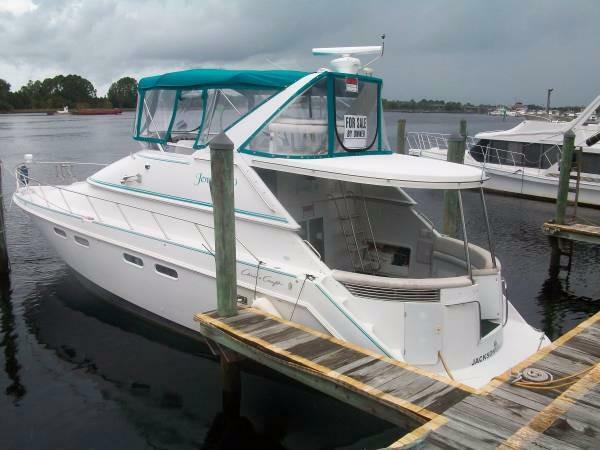 1994 Chris-Craft 421 Continental 1994 Chris-Craft 421 Continental located in Panama City, FL. 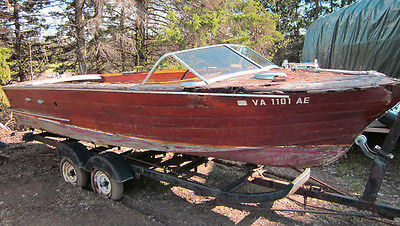 Rare European style cockpit and transom, with integrated swim platform. Easy access to bridge. Powered by Volvo diesels and only 600 +/- hours. Master stateroom features Island queen. Guest stateroom has bunk beds. 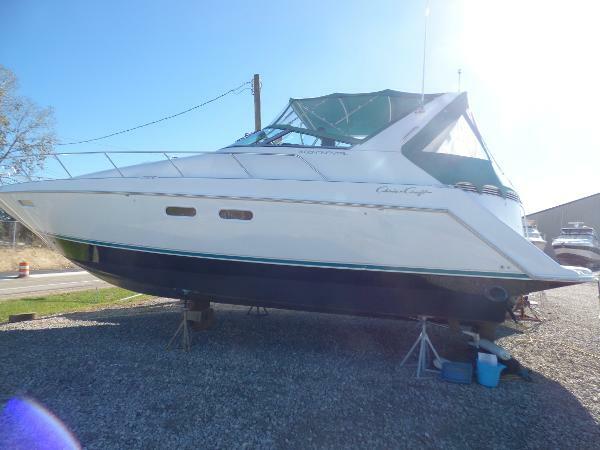 GPS, radar, VHF, stereo.Please call or email in advance for viewing appointment. 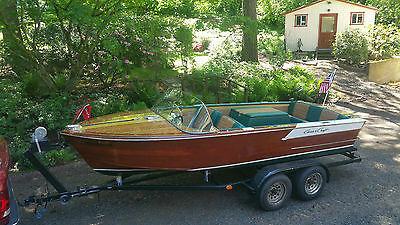 1961 Chris Craft Continental 19ft Cruiser, 360 Original Hours, Trailer! 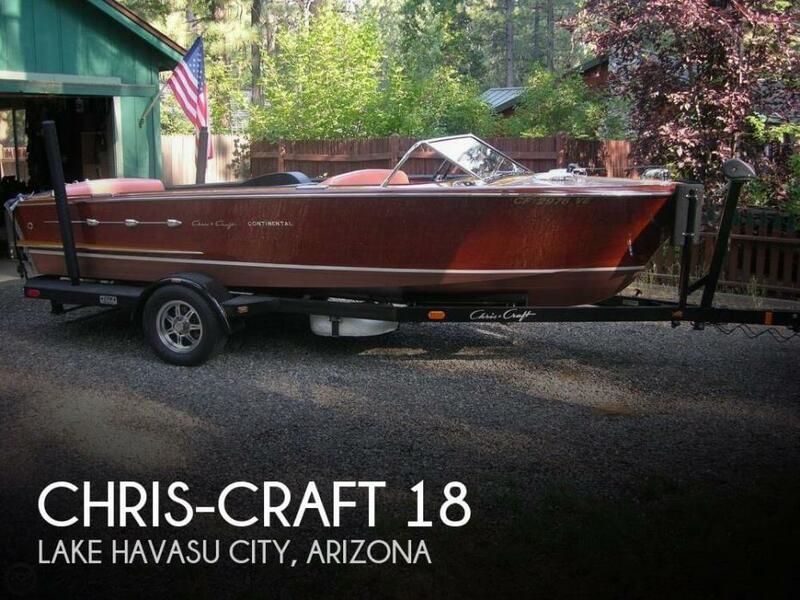 This is your rare opportunity to own an amazing Chris Craft at a very discounted price. 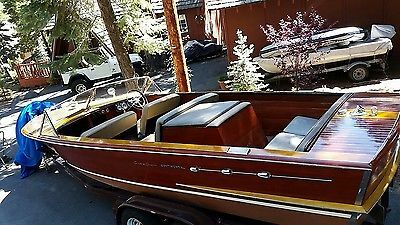 1956 Chris Craft Continental 23' Hemi Third Seat Hardtop Model (very rare combo) The Good- 1 of 170 ever built. Prob not many left Chrysler Hemi that runs amazing. 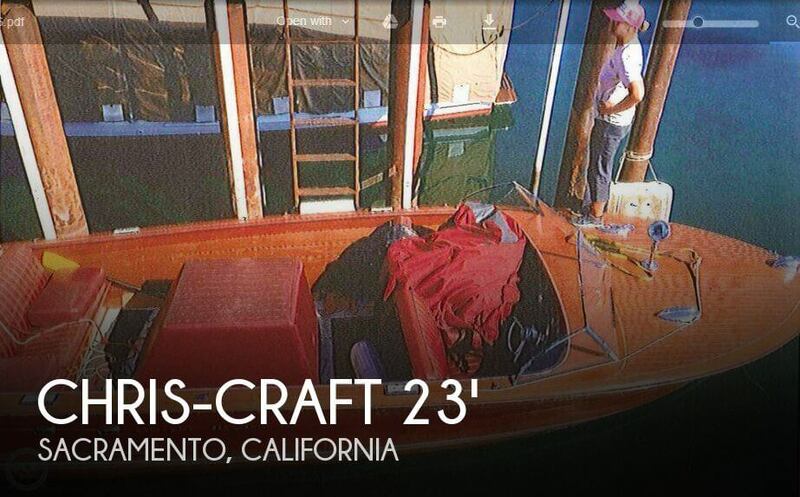 Pics show Compression chart and links to videos of it running at bottom of description Hardtop is in great shape. I will have to install it unless you want it off and we figure a way to send it. Everything works. Gauges, electrical etc... Fiberglass bottom done extremely well. Very stong and solid Fresh varnish. 10 coats The 3rd seat is very sought after The hardware is in excellent shape. Very good chrome The trailer is in excellent shape. 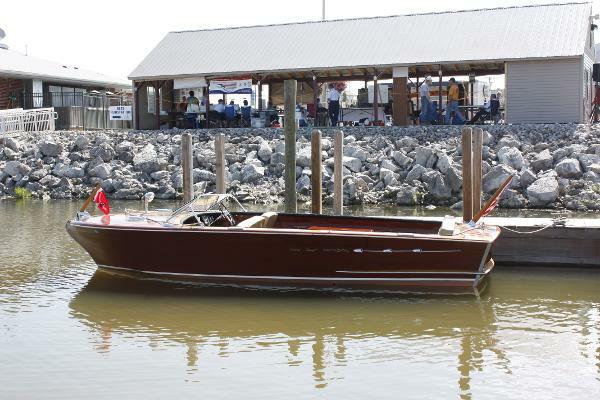 Build custom for this boat a few years ago No Rot This was a Concours D Elegance show boat few years back. Pics show badges This boat has never seen salt water. In fact it has only seen the cleanest water in the world. Lake Tahoe only. Custom full waterline cover comes with The bad- It needs the vinyl flooring/decking. Cheap and easy; I just never got around to it. I have a supplier across the street from me and I can have it purchased and rolled up and put into the boat ready to cut and install. The varnish was done inside the shop. When it was removed and hit the sun, it sweated a tad and tiny bubbles surfaced in a small area. Noticable but not bad. I will take pics and post to the ad. The interior from the front seat to the 3rd seat is great. That is where the sun never hit it. The engine cover and the back seat saw some sun. They are absolutely not ripped or anything. Just a little tired and faded compared to the fronts. This isn't necessarily bad; just disclosure. The boat last summer ran up on some rocks while boat was NOT moving. There is a small ding in the prop. The bottom had some damage, but was professionally fixed. You would never know that it happened. 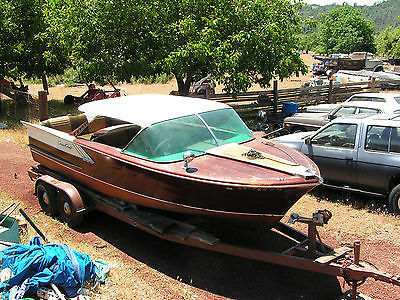 The remaining work left to be done on this boat is minimal to be a fun family boat. 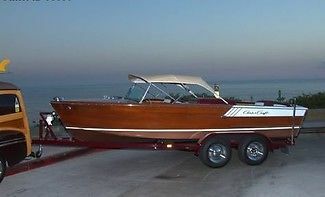 The value of these boats are very high compared to my asking price. 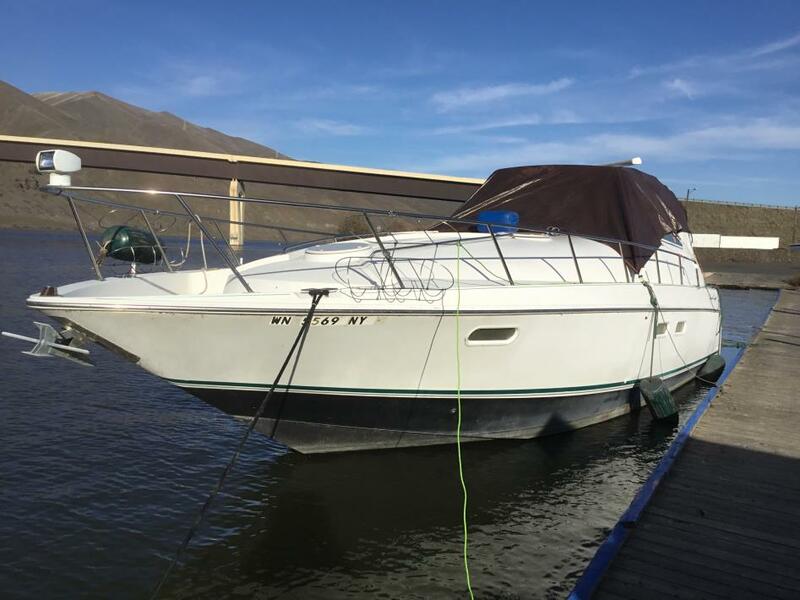 The reason for selling is that I do not want to store the boat as I have a bunch of boats and no room. I do not want this beauty to get ruined by the Tahoe winter. The price is $23k OR BEST OFFER Here are the links to videos. (if it does not link, you will need to highlight, copy and paste to the web bar up top.) https://www.youtube.com/watch?v=SmoeklMqadU https://www.youtube.com/watch?v=PrxMp0WIhQo https://www.youtube.com/watch?v=wLuqCmSUHlY https://www.youtube.com/watch?v=ocsQTaBkUcs Please ask as many questions as you can and check back for updates.